1 dribbles to the weak side. 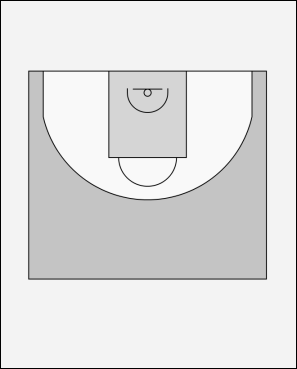 2 sets a screen for 4 and cuts to the corner. 5 makes a quick scissor move with 4 to get free on the top. 5 sets a pick & roll with 1. If 5 is not open, 1 passes to 4. 4 passes to 3 in the corner and sets a screen for 1. 1 sets up the screen uses the screen of 4 to come free on the top. If there is no shot for 3 and no pass to the 5 posting up, 3 passes back to 1. 5 sets a screen on either side of 1 for the pick & roll. If other defenders decide to help, pass out to for example 2 for the 3-pointer.